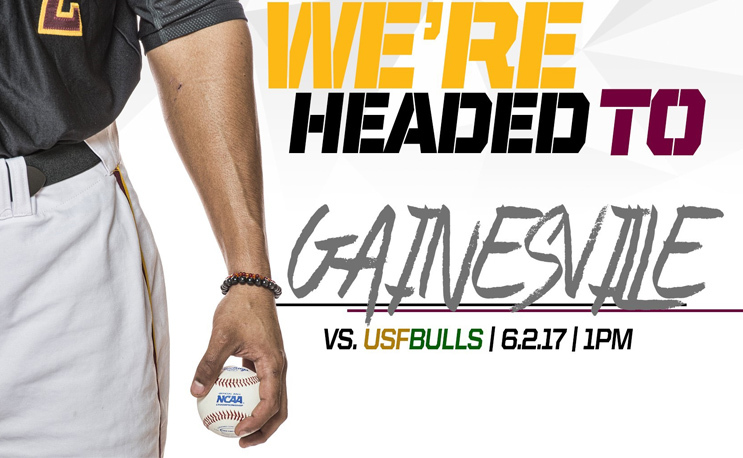 DAYTONA BEACH, Fla. – It was announced Monday afternoon that Bethune-Cookman Baseball will be heading to Gainesville, Florida for the second time in as many years for the upcoming NCAA Baseball Tournament opening round regional contests, beginning Friday, June 2. All games will take place at McKethan Stadium on the University of Florida campus. Bethune-Cookman (33-23), Mid-Eastern Athletic Conference Tournament and Southern Division champions, earns the school’s highest-ever seed in a baseball regional, taking a No. 3 seed into the NCAA Round of 64. Under direction of sixth-year head coach Jason Beverlin, the Wildcats enter the tournament with a seed other than No. 4 for the first time in what is now the school’s 16th time representing the MEAC in the NCAA Regionals. Twice prior to 1999 – the school’s first year in the actual Regionals, BCU was a part of the NCAA Tournament play-in game. In the NCAA Tournament, including six tournament play-in games, BCU holds an all-time record of 3-34 (2-30 in NCAA Regional games). Under Beverlin, BCU collected just the school’s second NCAA Regional victory in 2014, defeating Columbia in an elimination game as part of the Coral Gables [Fla.] Regional. Once in Gainesville, Bethune-Cookman will face No. 2 seed University of South Florida (41-17) on Friday, June 2, at 1 p.m.Traditional competitors against each other during the regular season, BCU and USF did not meet during the 2017 campaign for the first time since 2014. The Bulls earned an at-large bid with a 14-10 record in the American Athletic Conference (AAC). The host Florida Gators (42-16) will serve as the top seed in the Gainesville [Fla.] Regional. The Gators are the No. 3 overall national seed for the NCAA Tournament. The Gators were co-champions from the regular season out of the Southeastern Conference (SEC). Rounding out the Gainesville [Fla.] Regional is Marist (32-21), champions out of the Metro Atlantic Athletic Conference (MAAC). The Regional continues through Sunday, with a final game to be played Monday night, if necessary. The Gainesville [Fla.] Regional winner will face the winner of the Winston-Salem [N.C.] Regional in a Super Regional series the following weekend. The eight Super Regional winners advance to the College World Series in Omaha, Nebraska. The top eight national seeds are Oregon State, North Carolina, Florida, LSU, Texas Tech, TCU, Louisville and Stanford. Each of the 16 Regionals features four teams, playing a double-elimination format. The Regionals are scheduled to be conducted from Friday, June 2, to Monday, June 5 (if necessary). Selection of the eight Super Regional hosts will be announced on www.NCAA.com/cws, Monday, June 5, at approximately 11 p.m. (ET). The 71st Men’s College World Series begins play Saturday, June 17, at the TD Ameritrade Park Omaha in Omaha, Nebraska.